Synopsis The Asran Mercenary Air Force is not the kind of military life one usually enters willingly. Once you're in, there are only three ways out: serve three years (in as dangerous a place as Asran, that's a near-miracle), earn $1,500,000 (a sum almost impossible to attain), or desert (and face the dreaded consequences if you get caught). Young Shin Kazama appeared to have it all: a brilliant piloting career ahead of him and the favor of Ryoko, daughter of the president of Yamato Airlines. But then, an ambitious rival gets him drunk and tricks him into signing what may well be his death warrant: a commission to the Asran Mercenary Air Force! Shin now flies the skies over one of the most dangerous areas of the world. It is known simply as Area 88. Now committed to his situation, Shin finds himself having to learn to fight, to kill, just to survive to the next day. 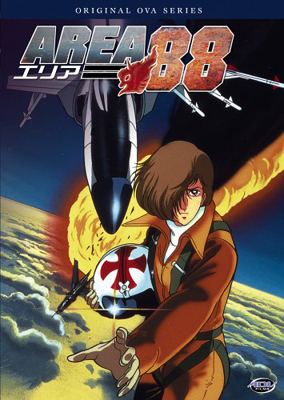 The skies become an aerial hell as Shin fights for his freedom along with the many other pilots who have also entered the air force for one reason or another. Many will not come home. Will Shin become one of the unfortunates?